attend Michael church whenever it is St. Michael, St. Gabriel and other major commemoration days on which Gedamu never appear there. During the major christian holidays like Lidet, Tinsae, Timket,.. he goes to 4 kilo Trinity. I remember on one Tinsae eve he asked the landlord to take her son to Trinity with him and she answered 'we have three churches here at our doorsteps and why he needs to go all the way to 4 kilo'. So, we (those who were in the same area) know from early 1980s that Gedamu and co- are protestants. 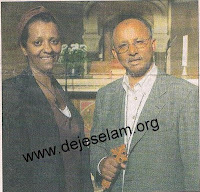 Finally, we heard that he was married to a girl named Ethiopia and left the country after a while. Therefore, Gedamu has been protestant before he left the country and I am surprised that he got the current status in our church. With all the evidence you mentioned, he is still continuing with his attachment with our church means there are big names in the church hierarchy helping the protestant movement. We need to clear our house and let the Almighty help us to do so. Selame dejselamoche bezu geze yehe neger be dejselame laye enanbealen ewente enate betkerstyane lezeh meftehs mesteat aketwate new weys eza hager yalte menkosatena kahenate benger amenwebet neber zem belew eskahun yalute ? weys endet new bewenat memenaneu eko teschalu awo yeche emenetachen besetu tedfer enkwane enante ategbe yalachute egame beruke bezu yesemanale belu amelake kidusane betkerstyanache yetbeke amen. pastor gedamu is not an aleqa. 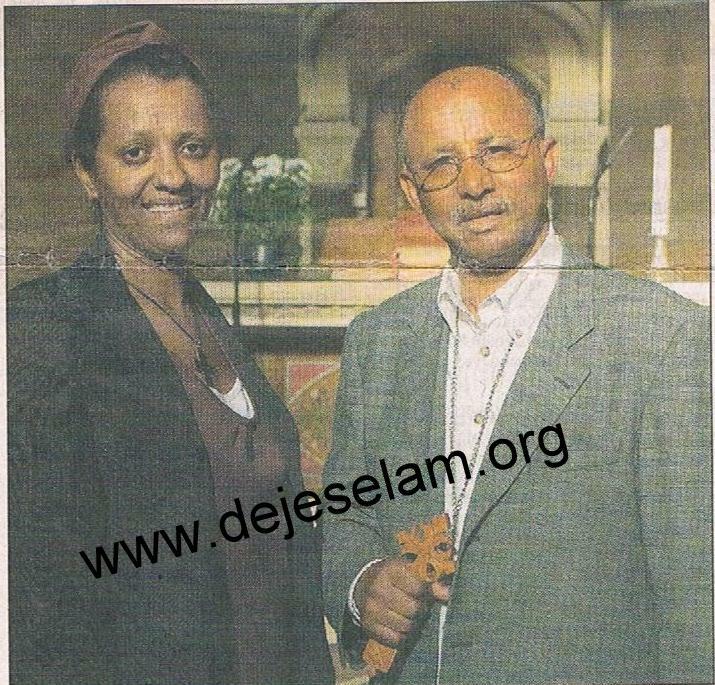 he is a protestant pastor who has the permission to preach in our Orthodox Church by dr.merawi tebeje who is supported by and is a loyal friend of the german protestant church. We had heard that dr. merawi had brought to ethiopia his protestant supporters after abba paulos became patriarch and introduced them to abba paulos. 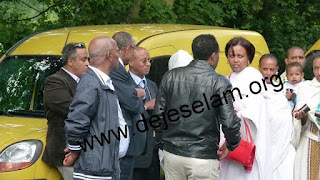 dr. merawi tebeje, from what have heard does not speak good german. how did he then get his"dr"title? 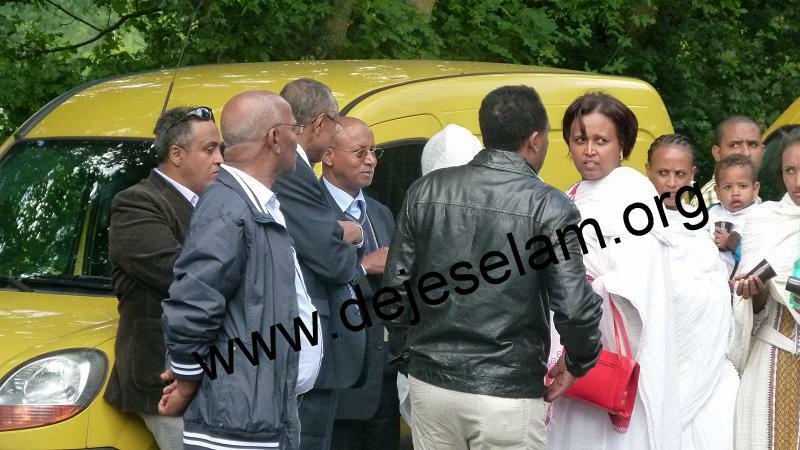 who wrote or translated for him his "dissertation" which is gedle tekle haimanot itself? 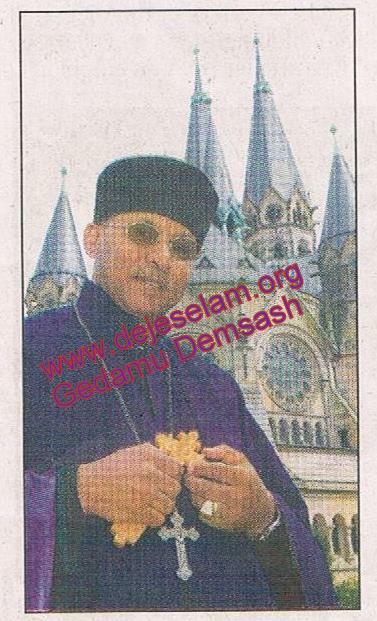 For me the problem is not mainly of Gedamu but L/K Merawi, who is said to be the head of EOT Churches in Germany, but who strongly and fanatically covers Gedamu. How come that L/K Merawi embraces such a heretic person who wrote an anti orthodox book, unless he (L/K Merawi) himself is taken by heresy like Gedamu? Everybody knows that Gedamu's book was all about protestantism. There is a very simple logic - had he (Gedamu) repented and came back heartily to our church, he should have wrote at first place an official response book to his earlier protestant publications. And never L/K Merawi urged him to write such a book. Neither had we asked such an assurance book. While his books are still sold out to the innocent sheep, L/K Merawi on the contrary defends Gedamu. Is that because of 'yewenz lijenet' or is Merawi also taken by heresy. My conclusion is besides 'yewenz lijinet' L/K himself is already exercising the same belief with Gedamu.' Ye Assa Gimatu Ke antu' endilu abatoch. So, let us first raise a question about L/K Merawi, and Gedamu's secondar and at least we know this person at the outset. Eskemeche new Yehenen Menafik Beguyachihu Wist Debikachihu Yemitinorut.Yehen Hulu Ewnet Eyayachihu Zim Yalachihubet Miknyatu Mindenew? 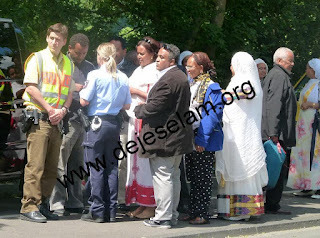 ደጀ ሰላም አዝጋጆች ምነው በሓማኖት የውሽት አስተላላፊዎች መሆን መረጣችሁ? በአውነት እናንተ ሃይማኖተኞች ናችሁ? እግዚኦ መሐርነ ክርስቶስ !!!!!! 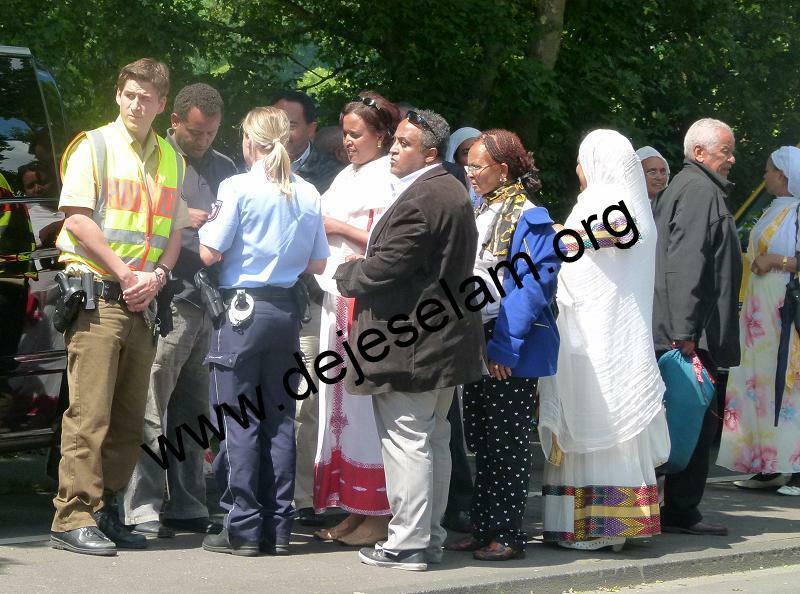 ወዮልህ መራዊ ፤ወዮልህ ሲራክ ወዮልህ ገዳሙ እናንተ መናፍቃን በ የመለኮት ሥጋ እንደሚፈተትበት እና የ እመቤታችን የአማላጃችን የቅድስት ድንግል ማርያም ስም የሚጠራበት መሆኑን አትርሱ ዋዋዋ ትግስቱ አልቆ የመጣ ቀን ቁጣው ከ ከለን ተነስቶ...ቪዝባደን ..... ፍራንክፈርት.... እሩቅ ደግሞ አደለም አንተ መናፍቅ ዋልህ እመቤታችንን መሳደብህ ሳያንስ ኦነ አውስናመ ብለህ ማንም ማንም ቢሆን ብለህ የቅዱስንን ክበር አዋርደህ በካስል መድኃኔዓለም ቤተክርስቲያን ያስተማርከው ምንፍቅና እግዚአብሔር ረጅም እድሜ ይስጥልንንና ዶክተር ዲ/ን ሔኖክ ጥሩ መልስ ሰጥቶበት አንጀታችንን አርክቶታል እነ መራዊ እና ጳጳስ ተብዬው እንጦንስ ቁጭ ብለው መልስ ሰጪው ዲያቆኑ ነበር እግዚኦ አምላክ ሆይ እንከመቼ ይሆን ዝምታህ??? yikrtahin wendime, ezih lay yetetsafutin komentoch benmb adrigeh bitanebew hulunim ine yetsafkuachewin information tagegnachew neber. bete christianu gar tebetino yeneberew berari wereketim anb'bewalehu. 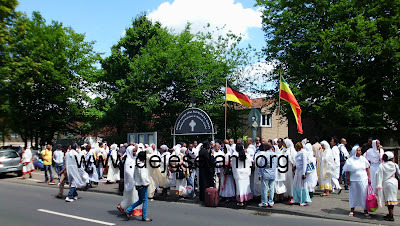 sile setyewa mekureb degmo, iza yeneberut sewoch sinageru neber. "yekorebech nat ina atas'chenkuat" silu neber. yihen yetekeskubet mikniat, ager bet iyalehu yekorebut sewoch indet indeneberu silemawq new min yahel feriha igziabher indalebachew! lelaw lilih yemifelge degmo, ine huletegna wede bete christian alhedim aydelem lemalet yefelegkut, ke indezi aynet christianoch gar hogne ye igziabher sim mawedes alfelgim. bete christian ye fikir nat inji ye til aydelechim, bezih amnalehu. getachin iyesus kristos ke'andem hulete soste yetetelutin, yetenakutin, hatiategnochin sewoch kelibachew yikir belen silalut bicha mihretin indiyagegnu adrgo mengiste semay indigebu adirgoachewal. igna man feraj adrgon new indezi aynet neger yeminadergew?? yihe begziabher sira megbat new indene amelekaket ina yihe yemigeba aydelem lemalet new yefelegut. yihe yemikeraker sew tsihuf yeman endehone megemet ayakitim. kehuletu gazetegnoch ayafim.enesu nachew yichin ababal yemidegagimuat.Bemejemeria dereja be eletu yetefetsemewun girigir endinesasa yaderegut Gedamuna gbr aberochachew nachew.Sewoch atqeldu!1 sew siemeles des aylachihum, minanin eyalachihu atqeldu. Sewyew altemelesem, yememelesim hasab endelelew bemetsihafochuna besiraw asaytoal.Beyesamintu Pente yemihonut dekemezamurtun atqotrum ende?Kezih belay yemiaskota neger alle ende?Endiawum alasfelagi tigist beza bay negn ene.